1. Research begins with questions. What is the purpose of your research? Read the assignment carefully. Do you need to inform, persuade, entertain? What is your topic or essential question? What are some keywords that describe the topic? What are some related topics or sub-questions? 2. 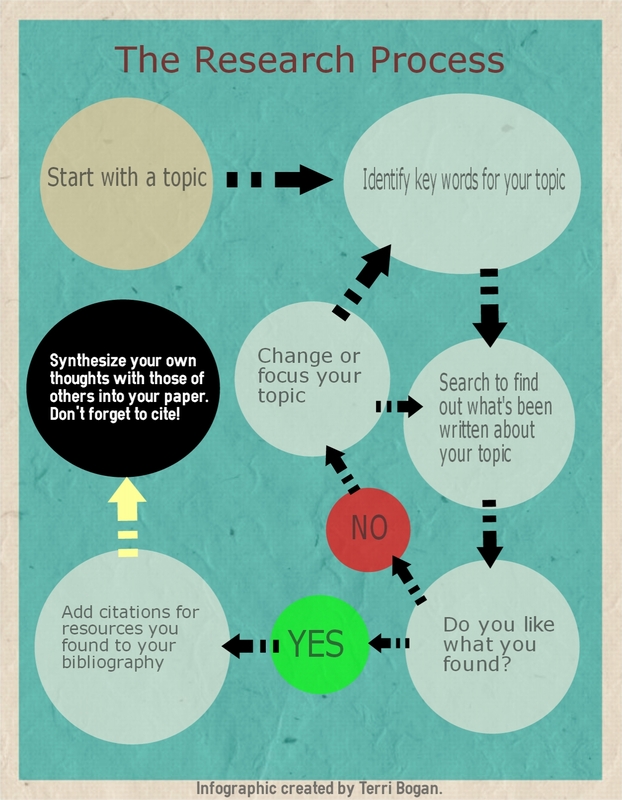 Develop your research plan. When is the final product due? 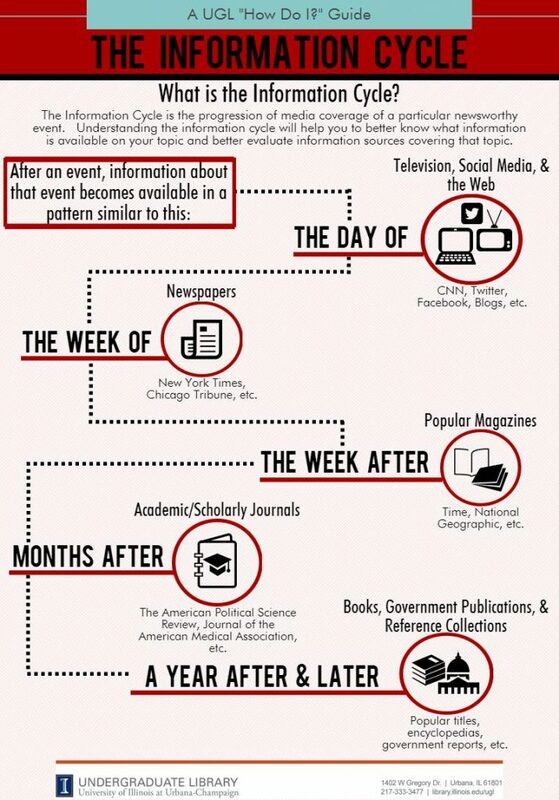 Create a timeline and don't wait until the last minute to do your research! What type of final product will you create? How much information will you need? Go from the general to the specific--find background information first and then find more detailed information. Where will you look for information? Books, Articles, Websites, Television, People? Use the library catalog to find books, the library databases to find articles and carefully evaluate all websites you consider. Keep track of all that you find using a research log. Skim and scan the information that you find to identify relevant information. Does the information answer your original questions? What is the point of view of the author or publisher? Ask yourself the questions: Who, What, Where, When, Why about each piece of information that you find. Create your presentation, paper, PowerPoint, speech, debate, etc. Edit your work. Be sure that everything is spelled correctly. 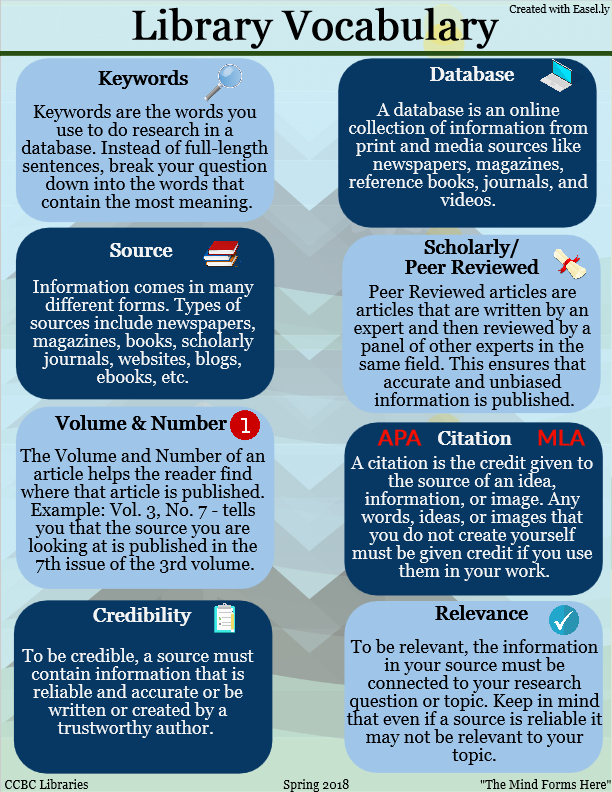 Be sure that you have the correct number and type of sources. Be sure that your final product meets the requirements of your assignment. Cite your sources correctly. See the handouts on MLA 8, or APA style or click on the Citation Basics tab above. Share what you have learned with your instructor and/or class. ProCon.org promotes critical thinking, education, and informed citizenship by presenting research on controversial issues in a straightforward, nonpartisan, and primarily pro-con format.